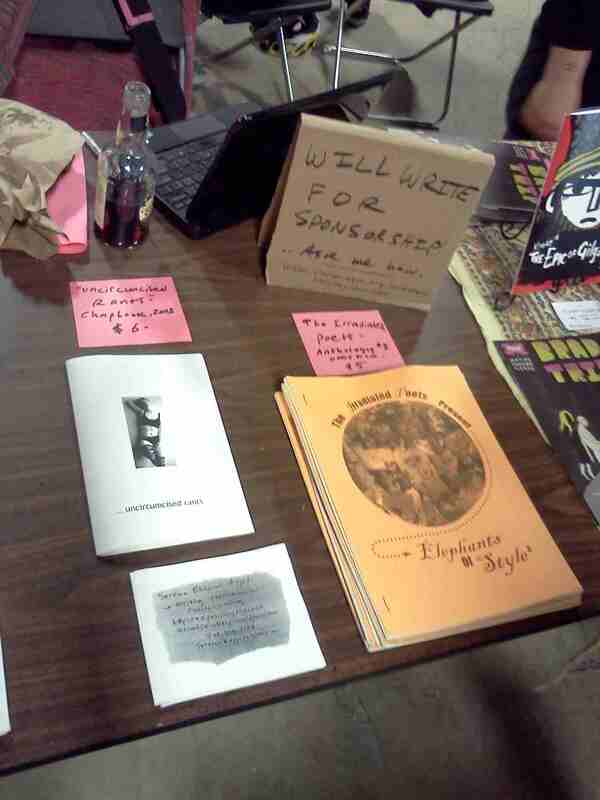 I tabled at AmaZine Day at the new Independent Publishing Resource Center in Portland, a couple weekends ago. 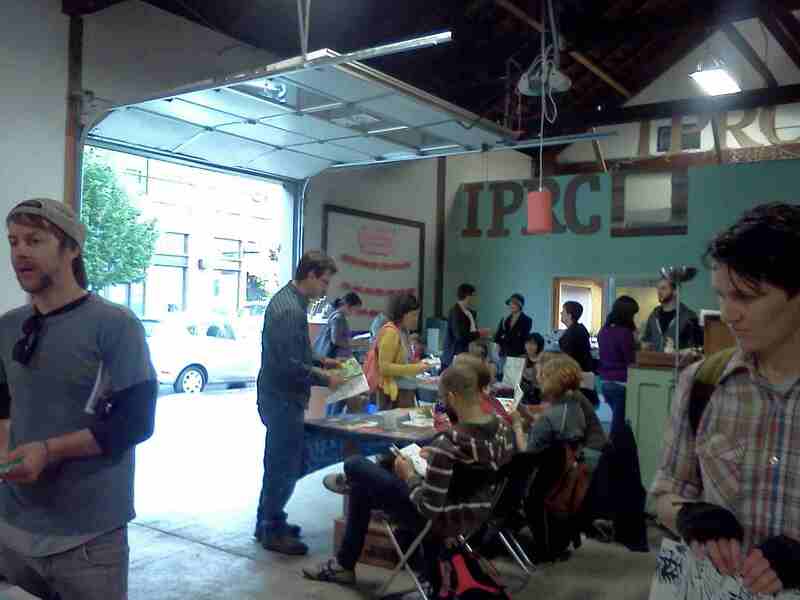 It is a new event that they will be hosting about 3 times per year, to supplement the enthusiasm for the Portland Zine Symposium. 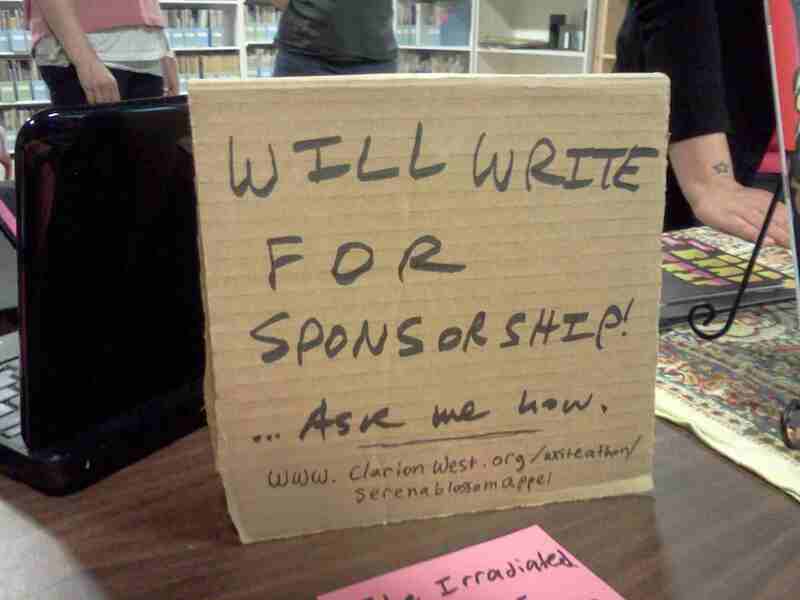 My table included some back issues of my chapbook and of the Irradiated Poets anthology, as well as advertising for some Clarion Write A Thon sponsorship. Did a little networking, made some sales, and met some very cool people.